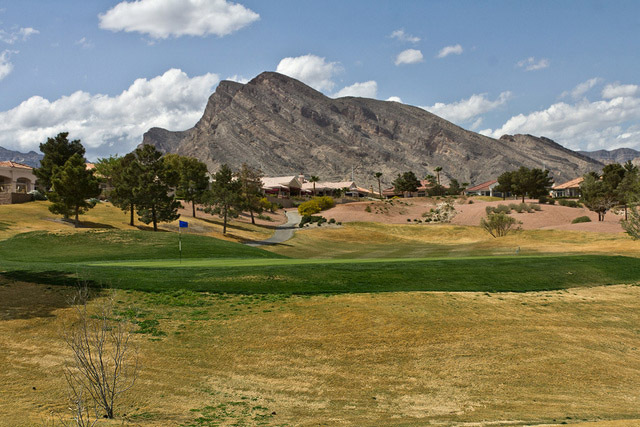 If you are looking for a sporty and fun layout for your next golf outing in Las Vegas you might want to consider Highland Falls. Highland Falls sits at an elevation of over 3,000 feet. 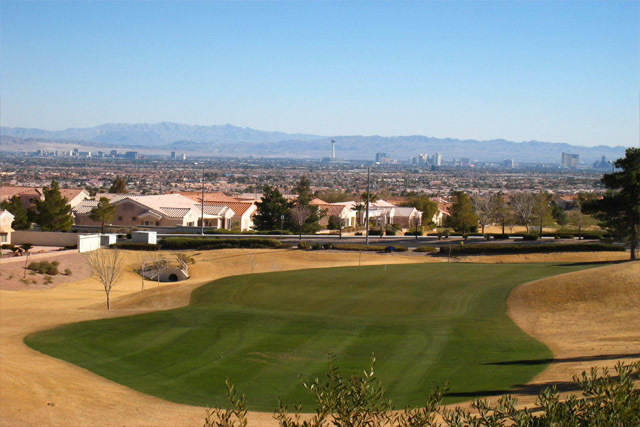 This means you can expect some amazingly breathtaking panoramic views of the valley of Las Vegas. 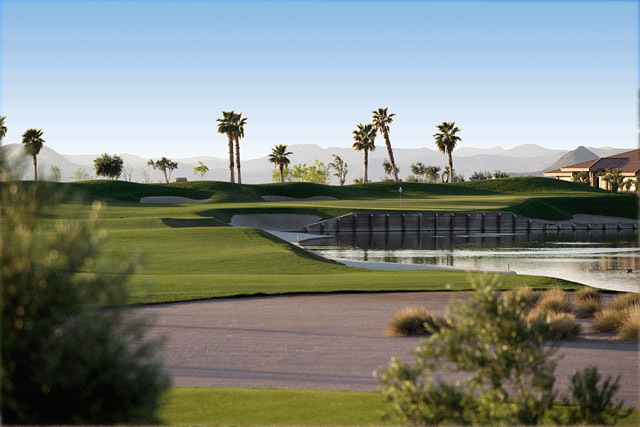 When it comes to golfing you can expect a par-72 course that is quite large, at 6,512 yards. Each hole offers a different challenge and a new length in which you need to drive towards. For example, each of the par 5’s have you traveling at least 520 yards. The par 4’s are slightly easier at 432 yards or less. Of course, you still have fairway bunkers, sand traps, and water hazards waiting for you to make your game more challenging. The last hole could be considered the most challenging of all despite only being a par-4. This hole is 387 yards, though there is water running from the tee to the green on the right side. Meanwhile, on the left there is native landscaping. If you do not drive the ball in an accurate path you might find your game in some trouble. Driving Range, Putting and Chipping Green, Restaurant, Lounge. I had a great day playing golf at Highland Falls, the club house were nice and the service as well. This Golf course was the most convenient to make a practice with spectacular and breathtaking course.